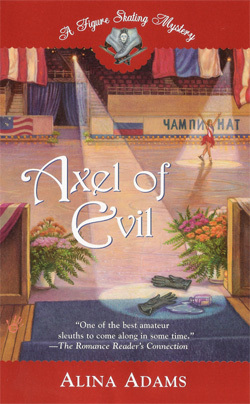 Three-time Men’s World Figure Skating Champion Elvis Stojko is eager to add another World title to his collection. 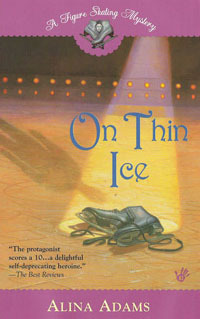 Visiting New York City to participate in Figure Skating in Harlem’s benefit, “Skating With the Stars, Under the Stars,” the two-time Olympic Silver Medallist revealed his plans for the future. “Because I don’t need to carry a piece of ice around with me (for this), I can train anywhere I want. That makes it a little bit easier. Because I’ve been at such a high level in skating, it’s not hard for me to compete at the lower (martial arts) levels leading up to the World Team. It’s not as intense. It’s a lot different. You don’t have the media. It’s not as hyped as figure-skating. I’ve had the experience, so I can handle the pressure,” he assures. 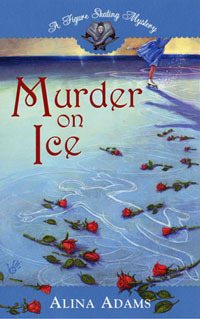 For a chance to win free copies of "Murder on Ice" and "On Thin Ice," please visit www.AlinaAdams.com.